How can you use a second passport to legally lower your taxes? Those of you who are tired of paying high taxes may have heard that a tax-friendly second passport can help you legally reduce your tax burden. You might be a high-income entrepreneur who wants more control over their assets, or if you’re not quite there yet, you may be looking into diversifying for the future. If that’s the case for you, then I have good news and bad news. The good news is that it’s quite possible to use a second passport to legally reduce your taxes. I’ve done it myself, and I’ve helped plenty of others do the same. Using a tax-friendly second passport is a completely viable and legal way to become a zero-tax citizen – or at least pay a bit less in taxes overall, but you’ll need to do the work and plan carefully for it to be a successful strategy. In this article, we’ll discuss a few important issues that you need to consider if you want to incorporate a second passport into your tax planning. However, before you dive too deeply into the subject of tax-friendly second passports, you should make sure that you’re familiar with the general idea behind getting a second passport as well as some of the basic benefits of doing so. When someone tells me that they want to get a tax-friendly second passport, I always ask them how this fits in with their life goals and objectives. This helps them see the bigger picture and avoid falling into one of two common traps. All too often, people become fixated on the tax part of this equation and limit themselves to only countries with no taxes, ignoring whether these limited options will yield the results that they want. On the other hand, others might not have a clear idea of how this fits in, and with so many options on the table, they fall into analysis paralysis trying to make a decision. Therefore, before you dive into the process of getting a second citizenship, you need to consider two important issues – time and lifestyle. Time refers to how quickly you want or need to get your second passport. If you’re a wealthy US citizen who wants to renounce as soon as possible, then you may want to get a quick citizenship by investment in the Caribbean. On the other hand, if you’re still building your business, then you may have the patience to get an easy second residency that leads to citizenship in a few years. You need to account for your current situation and your future goals to determine how quickly you need a second passport and how long you’re willing to work for it. The second factor – lifestyle – is the question of whether you’re looking for a place to actually live. A US citizen who gets St. Lucian citizenship by investment, for instance, likely isn’t going to move there, but a Chinese citizen who decides to get citizenship in Malta or another EU country may well decide to move there to get a better quality of life. You have plenty of options when it comes to tax-friendly second passports, so when formulating your overall strategy, it’s important to take your end goals into account. You need to think about what your ideal life looks like and when you want to reach certain milestones in order to make the best decisions possible about second citizenships. What are the Tax Ramifications of your Second Passport? 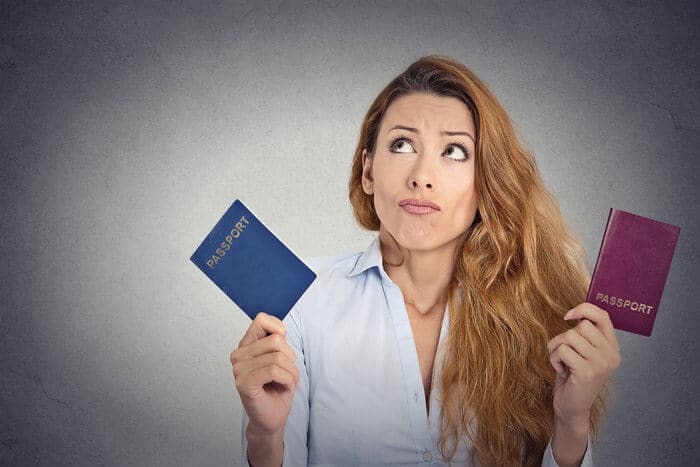 Once you’ve put some thought into how a second passport fits into your life plan, you must then consider the tax ramifications of any potential second passport. The fact is that most of these options can be tax-friendly second passports if used correctly, but they can also wreak havoc on your tax strategy without proper planning. Regardless of where and how you pursue second citizenship, you should consider how it could impact your taxes. 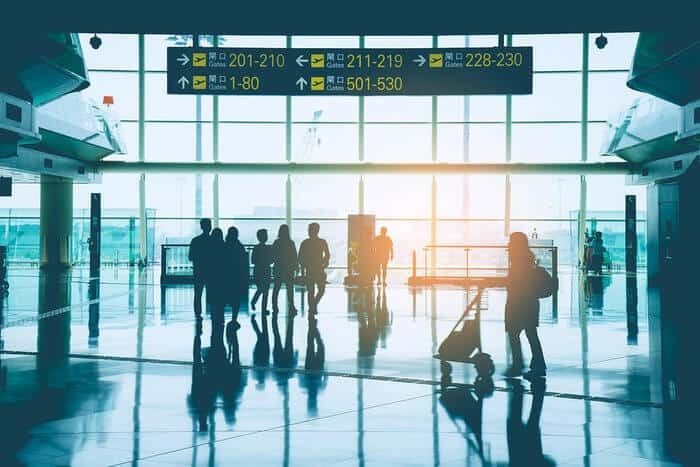 Generally speaking, there aren’t usually tax consequences that stem from simply acquiring a passport, so if you get a a passport through investment, descent, or fast-track naturalization, you typically won’t bump into many tax issues. If you must go through traditional naturalization processes, however, then tax issues often come into play. To become a naturalized citizen of most countries, you need to actually live there and become a tax resident to be eligible to apply for citizenship. This means that you’ll be liable to pay tax in that country for a certain number of years. Suppose that you decide to become a Canadian citizen. In order to do that, you’ll need to live in Canada for nine months out of the year, which renders you a Canadian tax resident, and as a Canadian tax resident, you’ll be paying tax on your worldwide income. Then, once you have your new second passport, you need to consider the difficulty of becoming a tax non-resident in that country. This issue is why you’ll never see the US anywhere near a list of tax-friendly second passports. The US is the only major country in the world to use citizenship-based taxation, which forces all citizens to pay income tax by virtue of having a US passport. Getting US citizenship is therefore not a good tax strategy unless you actually plan to live and work in the US for the rest of your life. That being said, becoming a tax non-resident of other countries can be difficult as well. Depending on your country of citizenship, you may need to sever all financial ties there in order to escape your country’s tax net. Therefore, if you do decide to naturalize in a particular country, you need to account for your tax obligation during the naturalization process as well as how you plan to become a tax non-resident once you have your passport. Will Your Future Requirements Change? Another issue that you need to consider with tax-friendly second passports is how they may change in the future. Malta’s citizenship by investment program, for example, is currently a strategic option for people who want to get EU citizenship without undergoing a long naturalization process. However, the EU is constantly trying to get Malta to force people who get citizenship by investment there to prove genuine ties to the country, which may mean a heftier tax burden for current and prospective citizens. 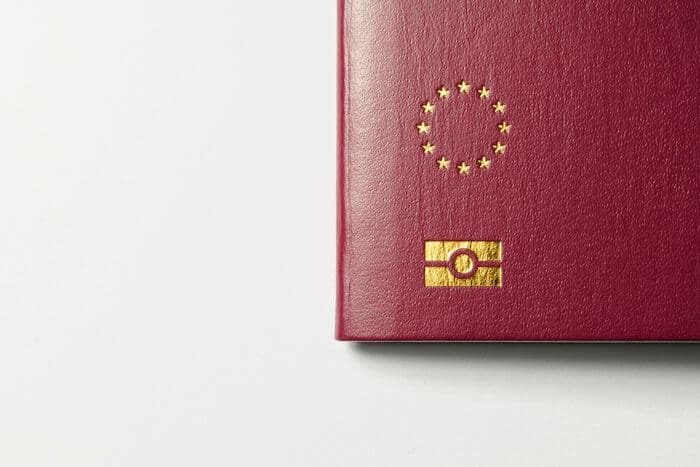 If you decide to get Maltese citizenship by investment, then you may need to deal with stricter EU tax requirements in the future. These kinds of issues are likely to arise in just about any developed country that uses a residential tax system. As their citizens find it easier to become tax non-residents by leaving, these countries are going to find ways to make establishing tax non-residency more difficult. Now, I don’t think that developed countries like Australia or the EU are going to institute US-style citizenship-based taxation, but they may require citizens to prove that they are paying a certain amount of tax elsewhere. If that happens, you’ll no longer be able to become nomadic, move to a tax haven, or even live a distributed lifestyle with a low tax burden and also be able to free yourself from your country of citizenship’s tax net. While this may be far into the future, there’s definitely a noticeable trend toward more compliance and away from allowing people to be able to just pay zero. For that reason, I’m not a big fan of obtaining citizenship in Malta, Cyprus, or other parts of the EU – there’s just too much potential to get caught up in a complicated tax net. Another important factor that you need to consider when looking into tax-friendly second passports is where you’re going to live. Where you plan to actually live is a major component of your tax strategy, but it’s something that often confuses people. So, let’s look at a few of the issues that arise as you consider where you want to actually establish residence. Before you dive into this section, you should make sure that you’re familiar with the three types of tax systems around the world. The type of tax system in your country of residence can make or break your tax strategy, so you should familiarize yourself with this concept before you get too set on any one destination. Do You Want to Live in Your Country of Citizenship? This question goes back to the lifestyle issue that we discussed at the beginning of this article – where do you imagine yourself living, and is that the same place as where you plan to get your second citizenship? You’ll often see citizenship by investment programs – especially in the Caribbean – advertised as tax-free. That may be true to an extent – if you don’t plan on living in those countries. For example, you can get a St. Lucia passport and not ever pay a dime in St. Lucian taxes, but if you decide to actually move there, then you’ll be subject to the country’s tax system. The reality is, however, that most people aren’t going to move to St. Kitts or Grenada or any of these island nations. Most people – especially Westerners – want a passport that works as a back-up plan, provides a pathway to achieving our financial goals, and increases our mobility and lifestyle freedom. We’re not necessarily looking to use tax-friendly second passports as a way to gain residency in a particular country. While St. Kitts and Nevis might be a popular place to get a tax-friendly second passport, very few people will actually move there. Instead, what I often advise people to do is to get the best passport that they can at the lowest possible price point and then get a residence permit in the place where they want to live. The fact is that getting a St. Lucia passport with an EU residence permit is going to cost you a lot less and be more profitable than getting Maltese citizenship by investment. According to the people I work with who use this approach, you get many of the same benefits – namely the ability to live in Europe and a passport with decent visa-free travel – without some of the perpetual nonsense that can accompany an EU passport. For the most part, then, you’re probably not going to become a resident in the country where you get your second citizenship. Unless you’re dead-set on moving to a country where you can get a tax-friendly second passport, then you’ll likely need to also figure out where you actually want to live – and that requires some tax planning. Basically every country in the world will require you to pay some type of tax if you live there, but there are a few notable exceptions. Territorial tax countries only tax you on income that’s sourced in that particular country. So, if your income is mostly comprised of rental earnings from foreign real estate investments or other foreign capital gains, then you would not need to pay tax in a territorial tax country. Countries like Singapore, Hong Kong, and Malaysia all have territorial tax systems, which is why they tend to attract wealthy residents. However, most of these countries don’t offer citizenship very easily. You’ll need to meet strict residency and other requirements to become a citizen, and it won’t be cheap, either. Getting a residence permit is a different story. I’ve helped plenty of people get residency in territorial tax countries, and I even have my own residence permit in Malaysia. Therefore, if you get a tax-friendly second passport and a residence permit in a territorial tax country, you may be able to substantially reduce your tax burden. 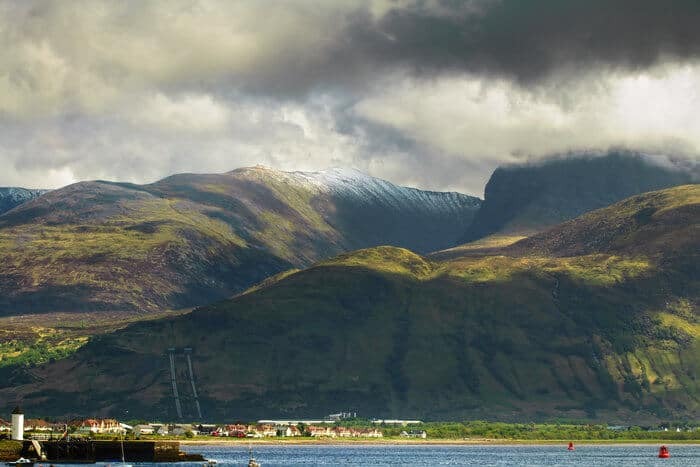 In the citizenship by investment world, there are two countries where you can get a second passport and live tax-free – St. Kitts and Nevis and Vanuatu. You can technically do the same in Monaco as well, but that program is usually prohibitively expensive – even for most successful people. Both St. Kitts and Vanuatu have relatively inexpensive citizenship by investment programs, and if you do decide to move there full-time, you won’t need to pay tax on any of your worldwide income. The fact that you’ll always be able to live in a country with no income tax is what makes these countries the most appealing options for tax-friendly second passports. If you get a second passport in Vanuatu or St. Kitts, then you can live and work on the beach while paying zero taxes. Citizenship by investment in St. Kitts and Nevis generally costs around $150,000, whereas it costs closer to $200,000 in Vanuatu. If you want further information on either program, we have ultimate guides on getting citizenship by investment in both St. Kitts and Vanuatu. Although getting a second passport isn’t a guaranteed way to reduce your taxes, it’s an important part of the tax planning process. For example, if you want to be a European citizen, there are ways to reduce your overall tax burden by living in different places, but the problem with that strategy is that the EU is making it increasingly harder to execute. There can be some serious tax consequences that come with living in Europe, and while they can be avoided, you need to plan very carefully. 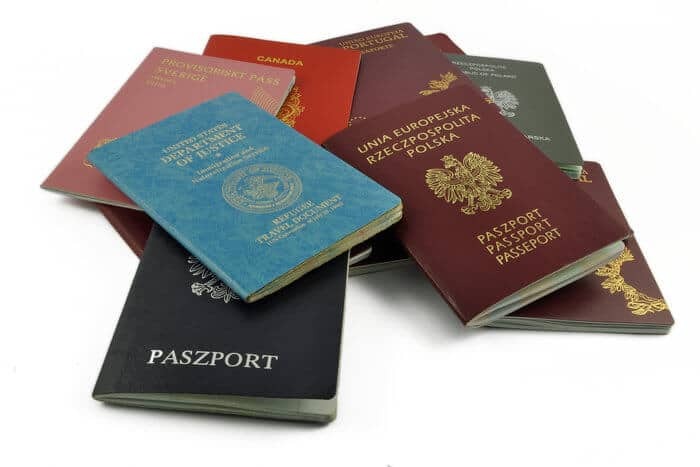 That’s why so many people have found that getting a good-quality passport in a country like Grenada – which even gives visa-free access to closed-off countries like China and Russia – and using it to get an EU residence permit is a much more favorable solution. That strategy, of course, isn’t perfect. If you do need to move to your country of citizenship one day, then you could end up paying more taxes there. That’s why I generally recommend paying a bit more to get citizenship by investment in a place like St. Kitts and Nevis. A Kittsian passport is quite good, and if you ever move there, you’ll actually be helping your tax strategy more than hurting it. My team and I aren’t psychics, so we can’t tell you exactly what’s going to happen in the next decade or two – but we can make well-educated guesses. First, most Westerners aren’t going to need the extra expense of becoming a European citizen. An EU passport could become a headache for a number of reasons, and you can find better citizenship by investment programs for far cheaper. The only exception to that would be if you can prove citizenship by descent in a country like IIreland or Italy. If it’s free, then European citizenship is a much more appealing option. However, with Europe, it’s generally a good idea to only get a residency permit and seek citizenship elsewhere. That way, if the EU decides to clamp down on its citizens’ taxes, you still have an easy way out. Second, St. Kitts and Nevis and Vanuatu are relatively safe bets due to their tax-free status. While that may change in the next few years, it’s rather unlikely. Third, you could technically get a passport in any country in the Caribbean Community (CARICOM), which would give you freedom of movement to tax-free countries like the Bahamas or St. Kitts. This option, however, is a bit more dicey – CARICOM might decide that entrepreneurs don’t qualify as skilled workers, which could leave you in the lurch. As it always goes with tax planning, the devil is in the details. You might be a US citizen who wants to renounce on a Grenada passport, or you might be a UK citizen who wants to use a second passport as a back-up plan – but wants to keep their UK citizenship just so they can always go back. Ultimately, what it all comes back it is your goals and objectives. 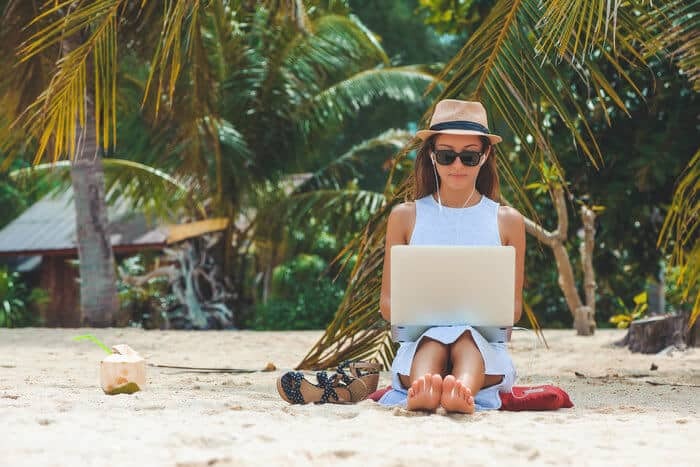 Whether you want to live in Europe, Asia, or a tiny island in the Caribbean, you’re going to need to make sure that your tax strategy lines up with your life plans. If you’re thinking about getting a tax-friendly second passport or just generally getting your personal strategy into place, click here. I may be able to help.